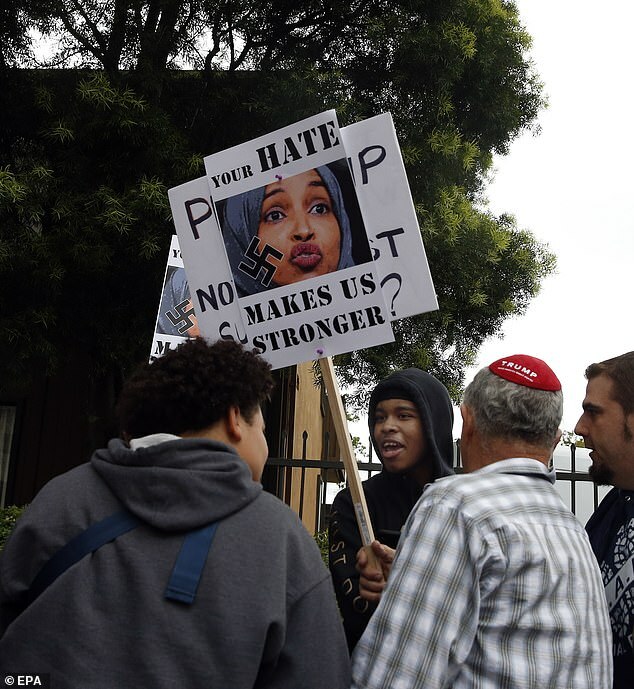 Congresswoman Ilhan Omar has faced hundreds of protesters waving Israeli flags in California following her controversial remarks about Israel. 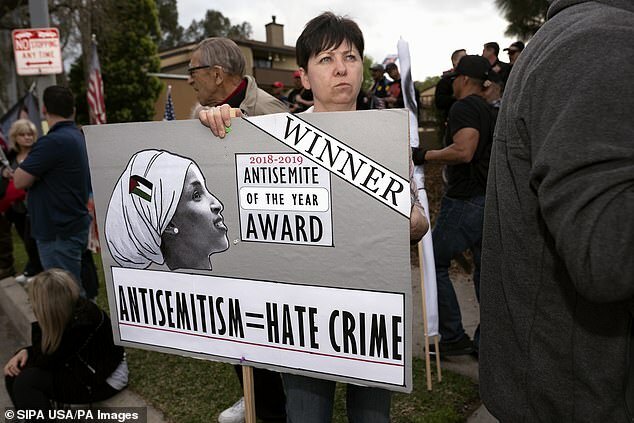 Omar was met by the group of angry protesters as she attended an annual fundraiser for a Muslim American advocacy group in Woodland Hills on Saturday. 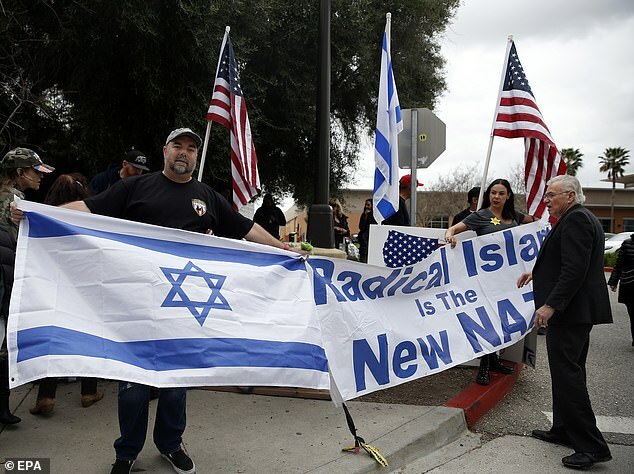 Protesters waved Israeli and pro-Trump flags outside a Hilton hotel where the Council of American-Islamic Relations event was being held. 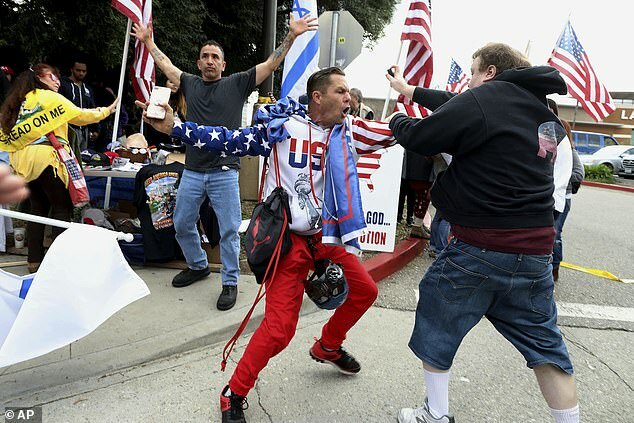 They could be heard screaming 'Burn the Quran!' 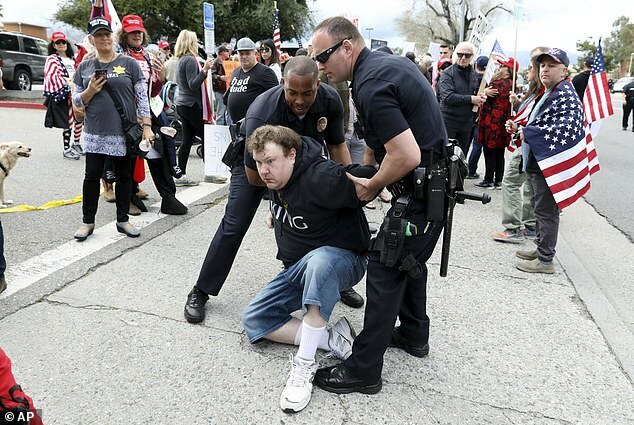 and 'Shame on you, terrorists'. 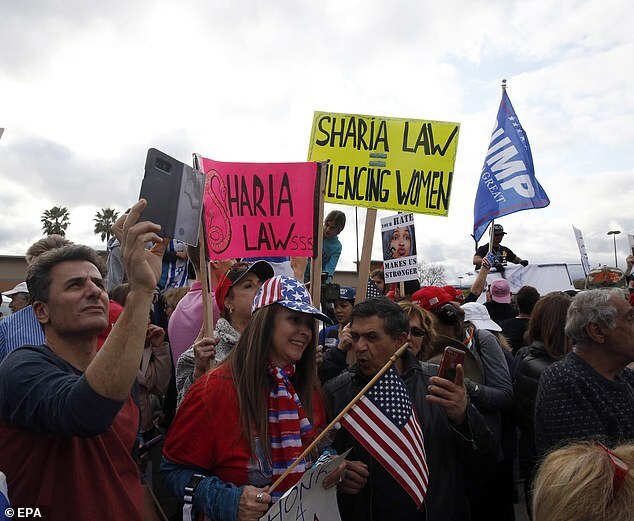 Meanwhile, Omar - who is Muslim - was given a standing ovation inside and told the crowd the protest was ironic because some people say her religion is oppressive to women. 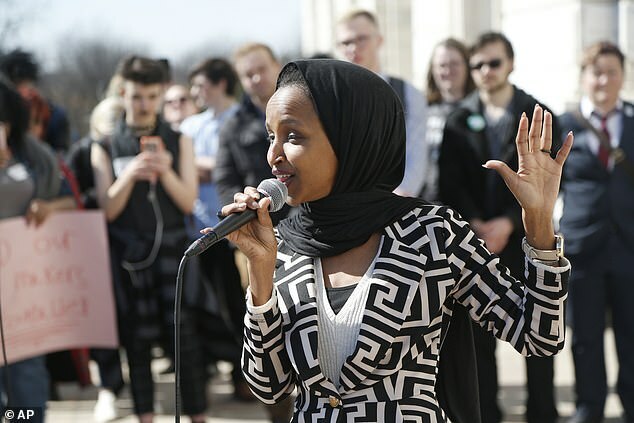 'Today they gather outside to protest a Muslim woman who is in Congress,' Omar said. The protests came after Omar, who is one of the first Muslim women in Congress, provoked outrage last month when she suggested that supporters of Israel were urging lawmakers to have 'allegiance to a foreign country'. 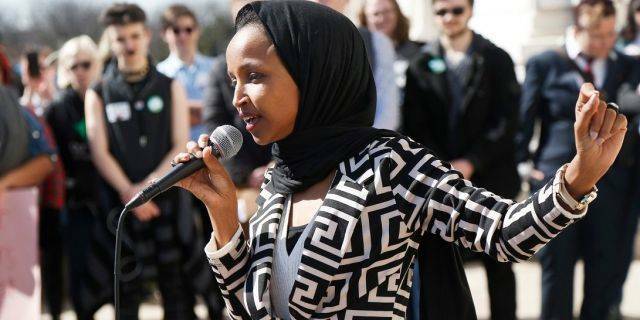 President Donald Trump, who routinely cites his support of Israel, said on Friday: 'The Democrats have very much proven to be anti-Israel.